UPDATE 19/07/18 – Additional information has now been released on the first two titles. Sonic 1’s added features include a Spin Dash toggle, a Ring Keep Mode for beginners, the Mega Play arcade version, and two Time Attack modes – a full Mega Play run, and a Green Hill Act 1 run, seemingly based on the Mikado Arcade’s speedrunning challenge. By far one of the coolest additions however, is that Sonic Mania’s Drop Dash is being added to the game! Thunder Force IV meanwhile adds the Styx Mode, previously exclusive to Saturn. However it will also include online leaderboards and a Kids Mode to make the game less punishing. There also seems to be an option to reduce slowdown, which can affect the game’s difficulty. 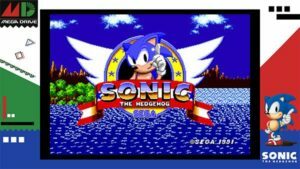 The first two titles in the new SEGA AGES line for Nintendo Switch, Sonic the Hedgehog and Thunder Force IV, have been confirmed for an August release by Famitsu. Previously, SEGA has stated the titles will receive a worldwide release – so unless things have changed, we’ll be getting them in the West next month too. Coming from porting wizards M2, SEGA AGES is as of now set to include a range of SEGA Mega Drive, SEGA Master System and Arcade titles. Currently confirmed titles are Sonic the Hedgehog, Thunder Force IV, Phantasy Star, Gain Ground, and Alex Kidd in Miracle World. M2 has also stated they’d like to expand to later SEGA consoles – but that hinges on the sales of these titles, and is likely a very long way off. These aren’t just standard ports however – for instance, Sonic 1 includes the Sonic 2 spin dash, a Ring Keep mode for beginners, and even the rare Arcade version of the game, from SEGA’s Mega Play unit. Thunder Force IV meanwhile features Styx Mode, which lets you use the ship from Thunder Force III – this feature was previously exclusive to a Japan-only Saturn collection! Pricing is set to 999 JPY, which works out at about £6. A bit steeper than the previous 3DS ports, but likely justified by the added features over those ports. We’ll keep an eye out for any concrete updates on the Western release of these titles. This entry was posted on Wednesday, July 18th, 2018 at 21:02	and is filed under News. You can follow any responses to this entry through the RSS 2.0 feed. Both comments and pings are currently closed.